They just aren’t powerful enough to serve as your home’s main source of heat. When winter comes around, everyone’s attention turns to heating. 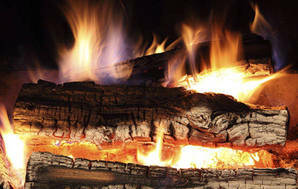 This year we’ve received a number of enquiries about ethanol burners: clean-burning fireplaces that run on bio-fuel. Ethanol burners are popular in Europe as a chic eco-friendly alternative to the hassle of a conventional fireplace, but aren’t widespread here. Ethanol burners come in a variety of sizes and styles, from decorative table-top models, to fireplace inserts, all the way through to larger units suitable for balconies and outdoor entertainment areas. They’re easy to use – you pour ethanol from a bottle into the burner and ignite it with a long lighter, then control the heat with a dial or sliding mechanism. Burning ethanol doesn’t produce any harmful by-products, just a small amount of water and carbon dioxide, so cleaning is easy. However, this airborne moisture could increase humidity and condensation. Ensure you have measures in place to deal with dampness, like good ventilation and a dehumidifier. Their main drawback is they just aren’t powerful enough to serve as your home’s main source of heat. In Northern Europe, they’re invariably backed up by a central heating system and comprehensive insulation, and are more about having a stylish fireplace than effective heating. There are also safety issues to consider. Unsecured burners – such as table-top models and some freestanders – could be hazardous around children or pets, and an ethanol fireplace should never be refilled if it’s burning. While they don’t produce any harmful fumes, they do consume oxygen so the room must be kept well ventilated. Our advice is ethanol burners are worth considering if you’re after an elegant, clean-burning fire to add a touch of class to living areas, but they’re generally not economic for keeping large areas warm. It’s also essential you have good ventilation before installing an ethanol burner. Before installing an ethanol burner ensure your home is well insulated and has an efficient primary heat source, like a woodburner or heat pump. Our woodburners and pellet burners tests will help you find the right model for your needs.